Today is the fast day of the 17th of Tammuz which begins the period of mourning and introspection called the Three Weeks. It’s a good time to take stock and think about how each of us can make the world as well as our own, personal lives, better. The more we move towards positive spirituality, the more the world does, too. The more we improve our relationships with each other, ourselves, and God, the more the world moves towards Peace and Wholeness. No effort is wasted. Every step you take to reach your spiritual potential, counts. The yetzer hara (the negative inclination) has a tendency to yank us down into depression, where we become overwhelmed with our own baggage, leading to spiritual inertia. Or, the yetzer hara leads us to dump our negative stuff on others (projection), so we can blame them instead of dealing with it ourselves. In this article on Breslov.org, I share the thoughts of several women as they pertain to depression and projection in response to the wisdom of Azamra, one of Rebbe Nachman of Breslov’s most important lessons. If you find the Azamra series, the Ayeh lessons, or the BreslovWoman.org website beneficial or healing, please share with your friends and family. There is no better time than now, during the Three Weeks. New lessons have been uploaded on BreslovWoman.org’s Free audio download page. The most recent series is based on the incredible teachings of Rebbe Nachman of Breslov’s Torah called Ayeh, LM II, No. 12. The lesson Ayeh is the moon to Azamra’s sun. Azamra helps us navigate challenges which, with introspection and honesty, we can clearly apprehend and if we so choose, work on them. Ayeh helps us understand and deal with problems that are often obscured by darkness, constricted consciousness, and emotional pain. 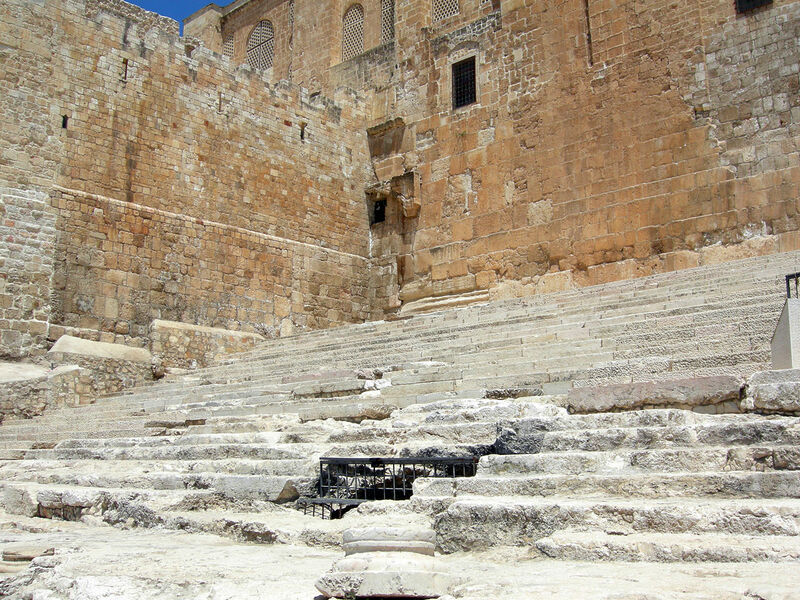 About photo: Remnants of the Stairs of Ascent to the entrance of the Beis HaMikdash (Holy Temple) Courtyard. Pilgrims coming to make sacrifices entered and exited by this stairway.